Creating PPC landing pages is a must for online advertisers. During SES New York 2009, we had an opportunity to interview Tim Ash from SiteTuners.com. He is also an author of a well known book called “Landing Page Optimization”. Here is a short summary of Tim Ash’s top tips on creating an effective PPC landing page, as well as the 7 deadly sins to avoid when you are creating a landing page. Hear Tim Ash from SiteTuners.com speak regarding landing pages being a must for online advertisers. Q: Why are landing pages critical elements for your paid campaigns? A: Landing Pages help in achieving better conversion by providing customers with what they want. With other forms of online media, you do not control where surfers are going to land on your site after they search. 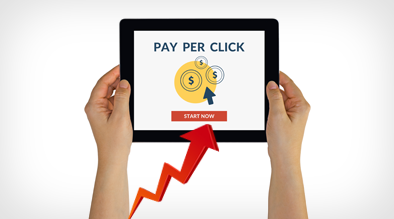 With PPC you can maximize the efficiency of the money you are spending. You can also control where people will land, and the message which is communicated to them. With specialized landing pages, which are designed for the specific need of the customer, you can assist by directing them to the most relevant page for their search query. Ensure that traffic is sent to a page where the desired action is clearly defined. 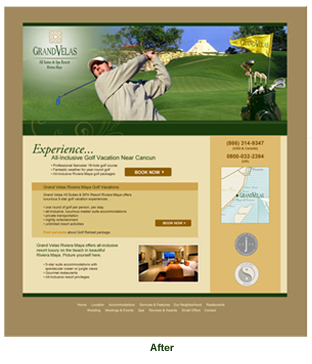 If you wish for them to book a room night, have a large visible button that allows the customer to book a room night. A page filled with too many visual distractions, whether its photos of products or flashing banners or AdSense ads, will likely not convert as well. Keep the page simple, clean, and to the point. A landing page should not be text heavy. Keep sentences short and simple, and convey your message using bullet points. Your AdCopy says: Buy 2 get 1 free, but if this same offer cannot be found on the landing page, you are not keeping that promise. If you have an attractive offer in your AdCopy, make sure that it is easily found on the landing page. Keep forms as short and concise as possible. Only include fields where it’s absolutely essential for the existing transaction. If your business is accredited by the BBB, or if your website is hacker safe and tested on a daily basis, be sure to include these logos above the fold. 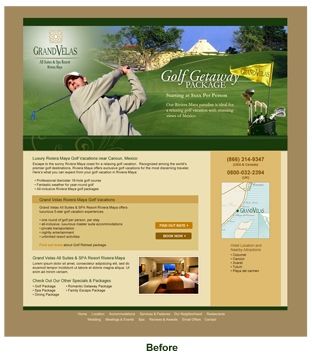 If your business is highly rated or raved about by another company of trust, place that logo above the fold as well. For example, if Conde Nast named your hotel as one of the “Top 500 Hotels in the World”, adding this trust indicator will surely help increase trust, and hopefully conversion. In summary, building a landing page is an absolute must for PPC traffic. You can cater to the needs of the user based on their search query. For example, if someone types in “budget hotel waikiki”, a page can be created with the top 5 reasons why your hotel is of great value. When a user can emotionally connect and see themselves as the audience on your page, that’s when you know you have a winning landing page. Lastly, don’t just create a landing page and ignore it. Always test different elements to see if your change can further increase conversion. I’ll test some other versions asap. Especially the upper part could have some improvements, according to this example.